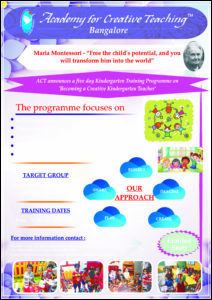 3 week Training programme for Experienced Teachers and Aspiring School Leaders. 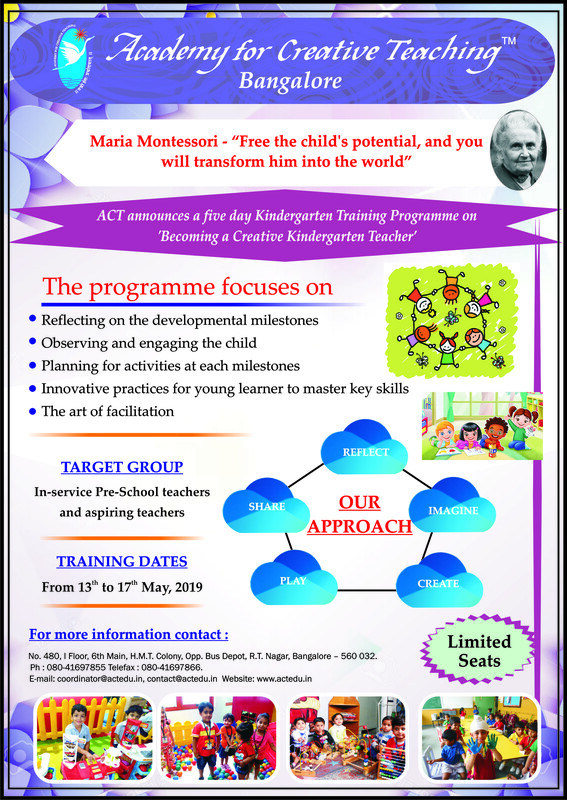 Academy for Creative Teaching, Bangalore launches “Leadership in Training” a unique train the trainer certification programme for the Techer Educators, Subject Experts, School Leaders and Corporate Trainers. 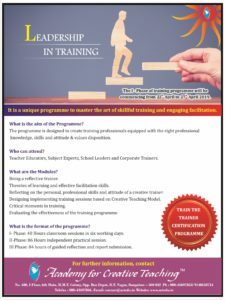 The Leadership in Training Programme aims to master the art of skillful training and engaging facilitation. 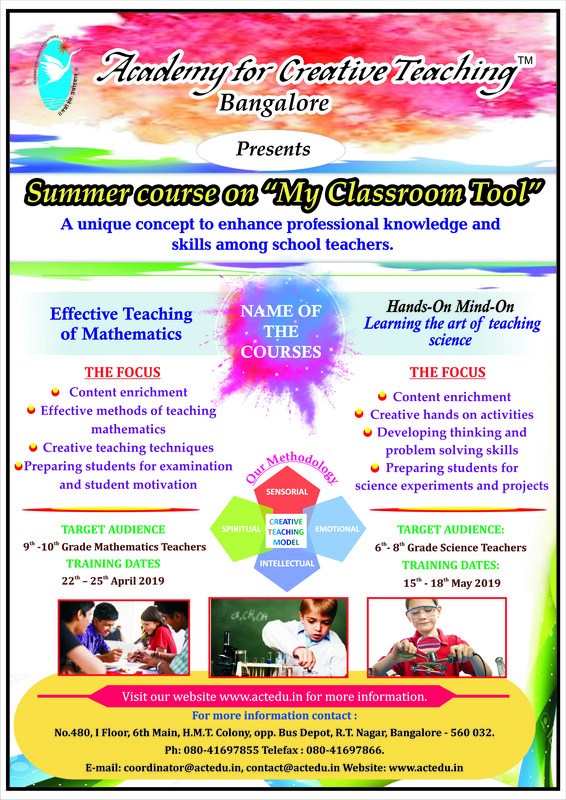 The programme is designed to create training professionals equipped with the right professional knowledge, skills and attitude & value disposition. 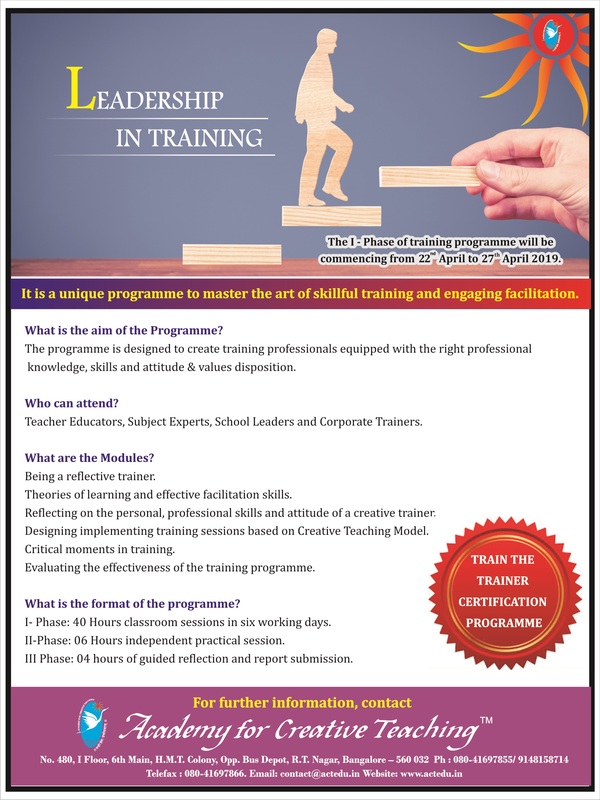 The Leadership in Training programme will be conducted from 22nd –27th April 2019. 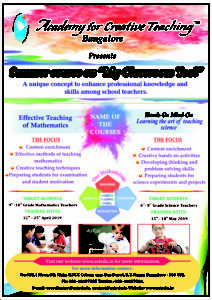 Kindly refer the programme brochure.